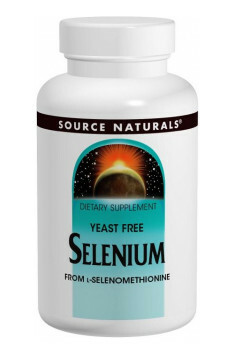 Selenium Yeast Free 200mcg 60 tab. Yeast Free 200mcg 60 tab. The supplementation of this preparation is legitimate in the prophylaxis and support of the treatment of cancers and cardiovascular diseases. 1 tablet a day is enough to maintain proper level of this element in the organism and prevent its deficits. The increased supplementation is worth applying when we suffer from frequent infections, muscle pains, weakness and fatigue. In the case of using 2 tablets a day, the doses should be taken at equal time intervals. It is not recommended to exceed 2 tables a day.